Kapow Toys seems to have them for a good price. Asda has been the only store where I found Marvel Legends, other than Forbidden Planet. I want to be able to go into store and buy the figure rather than order online. Neat, both those places are a little cheaper than Amazon after importing. Order changed! How much was it with Amazon? Thanks for those links! I really want to give local stores the benefit of a doubt that they'll have these, but I might pre-order them from the UK too. Visit Red Dino Ranger's homepage! Indemand toys, kapow toys and star action figures all going to stock. Hasbro has good links with all 3 and are great with the star wars community. Indemand do reward points though so always worth preordering with them to gain money off down the line. Power ranger lightning figures price £19.99 each. £80.50 after shipping and import charges. Pre ordered mine last night. £78 for all 4 (inc. P&p) seemed like a good price. While I would have preferred ordering from Smyths, i didnt want to risk them not stocking them. Hi my friend runs a UK based powerrangers/toku store. I ordered them on Star Action Figures. I’d rather buy them in a shop where I can check the paint and stuff, but I’m not confident these will be easy to find (compared to Legends and Black Series) and I was a bit worried I’d totally miss them. I hope they do get Goldar! I've only ordered from Toku once before but I thought they provided astonding service. If I hadnt already ordered mine I would certainly have considerred using them. As for Goldar, i really want that figure but I'm not convinced we'll get it. I have a horrid fear the only way will be through third party vendors at overly inflated prices. The new UK thread for Beast Morphers, Lightning Collection & Playskool Heroes is now up and running. Please use that thread for discussion of the Hasbro toy releases, and continue to use the thread you're currently reading this in for anything Bandai. Yay! Praise be to Zordon! 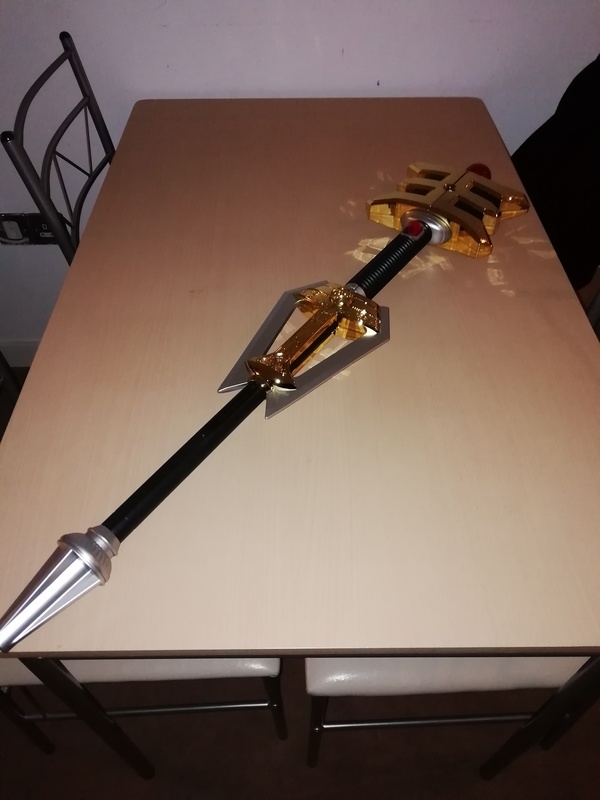 For my birthday, my wife got me the gold power staff. This thing is brilliant, it feels solid and has a good weight to it. Although, I will say I feel the original asking price of £150 was a little steep but at the £50 she paid for it, it is a steal. Yep. The Legacy Zords (mostly) and the role-play weapons were all amongst the best they'd ever made in their history. It was just the figures that were really half-assed.